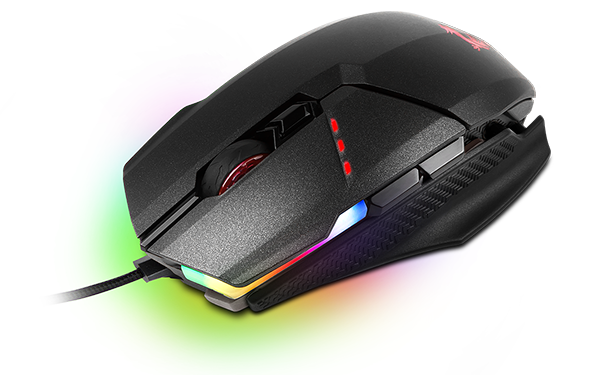 MSI is best known for its graphics cards and motherboards, but the Taiwanese manufacturer is keen to expand its portfolio with a renewed focus on gaming peripherals. Having previously dipped its toe in peripheral waters, the Dragon-branded outfit is hoping to offer stiff competition to established brands by introducing a new line of keyboards, mice, headsets, game controllers and mouse mats in the last quarter of 2017. It's a development that shouldn't come as a surprise, and given that RGB lighting has become integral to most gamer-orientated components, it makes sense for MSI to offer peripherals that can sync with its internal hardware to create a unified show of illumination. Expect a wave of new devices, with plenty of emphasis on the Clutch GM60 mouse, in for review today. Priced at £75, the Clutch GM60 is positioned as a capable all-rounder with mass appeal. MSI has high hopes for the GM60 being a big seller, and it's clear that the goal has been to appeal to as many users as possible. The ambidextrous design suits both lefties and righties, the gaming aesthetic is evident but not offensive, and the overall profile works well with either a palm or claw grip. Dimensions of 125mm (L) x 66mm (W) x 39mm (H) make the mouse slightly larger than average, but that suits me just fine, and GM60 tips the scales at 115g, giving it a nice, weighty feel. 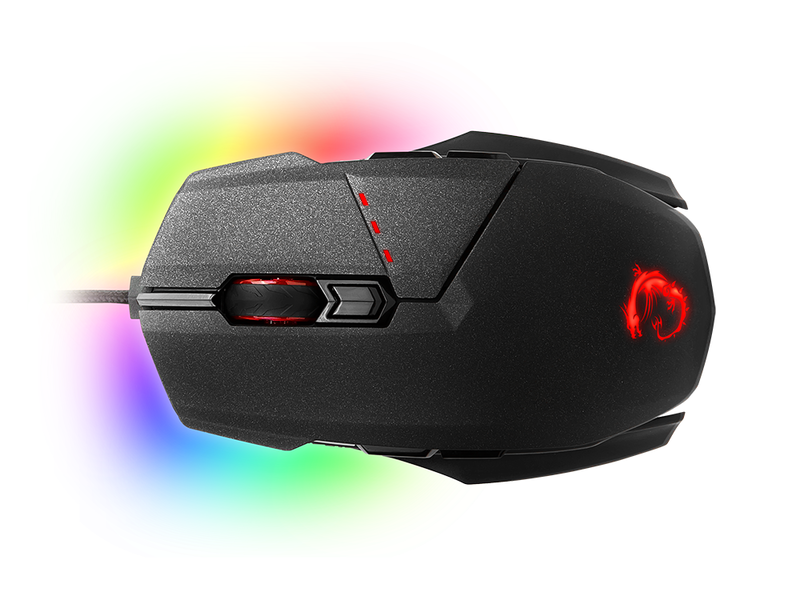 There's no option for weight adjustment, so users seeking an ultra-light pointer should look elsewhere, but there are plenty of other customisation options that allow for the mouse to be tailored to your needs. Underneath the hood, MSI employs a Pixart PMW3330 optical sensor with a maximum DPI of 10,800 and the ability to fine-tune sensitivity in steps of 100. The main switches, as expected, are provided by Omron and rated for up to 50 million clicks, and there are eight buttons in total. These include a DPI toggle switch sat just behind the clickable rubberised scroll wheel, as well as two buttons on either side. 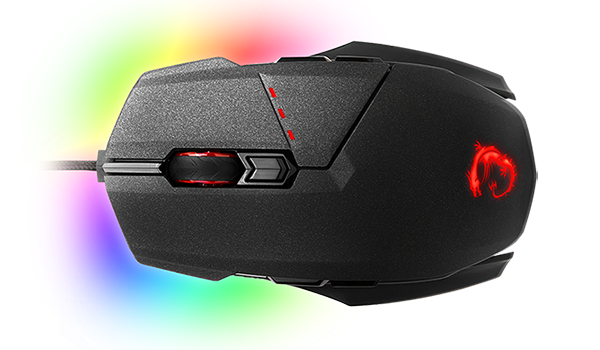 The DPI switch is allied to three LED status indicators to help keeps tabs on which preset is in action, and the scroll wheel is notched without creating too much resistance. Having two buttons on each flank should be a major perk, yet not all are as intuitive as I'd hoped. As a right-hander I had no problem locating and using the two buttons on the left, but I'm yet to get used to the duo on the right, finding it difficult to hit the clickers without altering my grip. Customisation is a key selling point and MSI offers plenty of it. 10 individual RGB LEDs wrap around the front edges and an 11th sits behind the dragon logo on top. Furthermore, there's a choice of textured side grips, with Clutch GM60 shipping with a choice of shallow and elongated fixings included in the bundle. These clip into place magnetically and seem to be secure enough (they haven't yet come off during gameplay) and there's also an alternative top panel that is supposed to add extra height to the palm rest. We can see the benefit of the side grips as some may prefer a resting point for certain digits, but there's very little height difference between the two top covers, making it difficult to tell them apart. 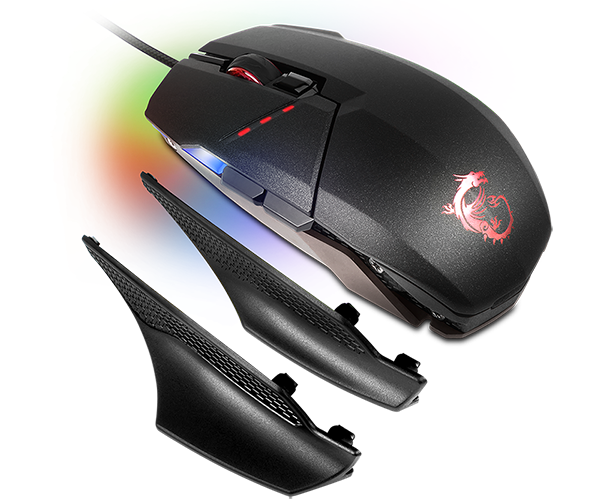 Connectivity comes in the form of a USB cable that can be disconnected from the front of the mouse for easier transport/storage, and MSI includes a choice of cables. The default is braided and measures two metres in length, but there's the option to switch to a one-metre, unsleeved cable if you prefer a shorter cord. MSI has most bases covered with the Clutch GM60, however it will be joined at retail by a wireless variant dubbed the Clutch GM70. 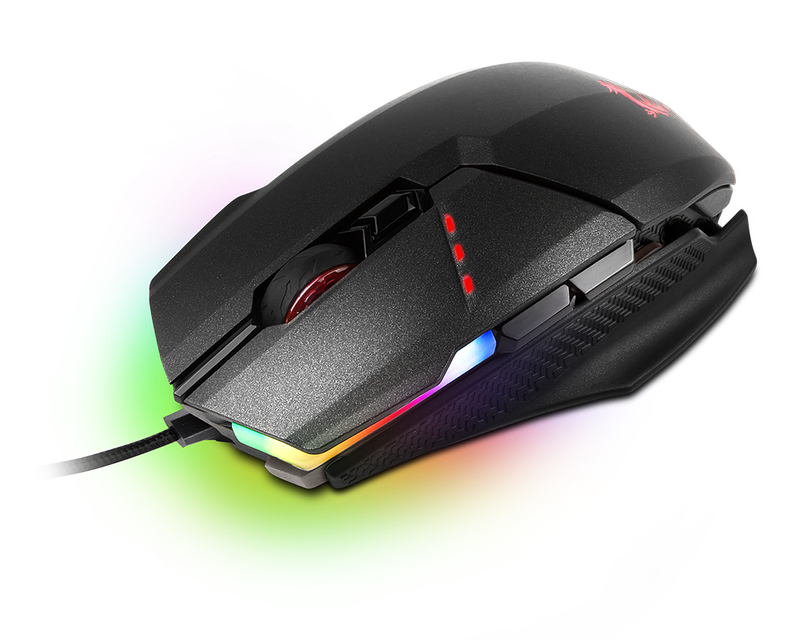 What's interesting is that the GM70 will come equipped with a superior PMW3360 sensor, touting a maximum DPI of 18,000, so be aware there's more to differentiate the two models than merely wired or wireless.